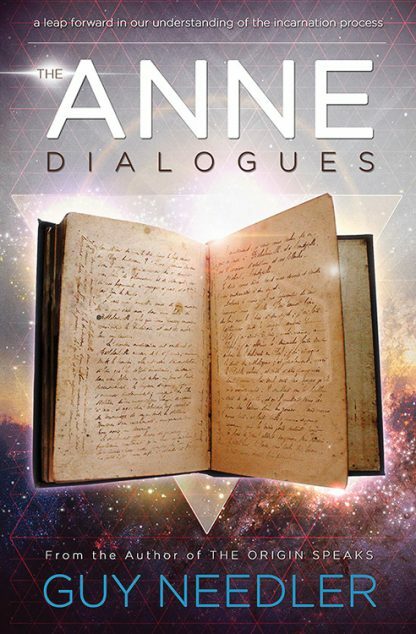 The Anne Dialogues provides a behind-theenergetic-scenes look at what happens in the incarnation process. Readers are taken each step of the way from the point of death to the decision to incarnate again and through the myriad teachings in between. A channeled work, this book is an insider�s view of the actual process of dying and ascending to the spirit side. Guy Needler, MBA, MSc, CEng, MIET, MCMA initially trained as a mechanical, electrical, and electronics engineer. Throughout this earthly education he was always aware of the greater reality around him, catching glimpses of the worlds of spirit. Guy gained his Reiki Master certification and studied energy and vibrational therapy techniques from a direct student of the Barbara Brennan School of Healing, which included personal development using Pathwork methodology. His books include Origin Speaks and Beyond the Source.